Cheese making day was a blast! 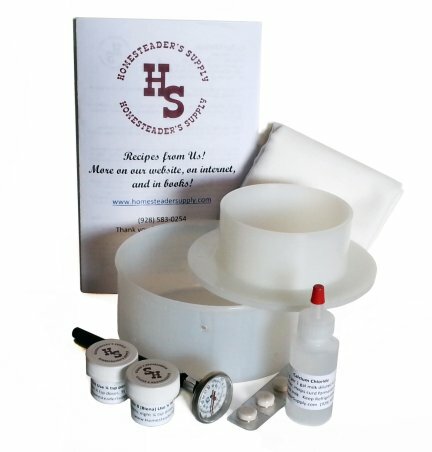 I’m Robin, the social media manager at Homesteader’s Supply. My daughter Taylor and our friend Tammy joined me for a day of cheese making. 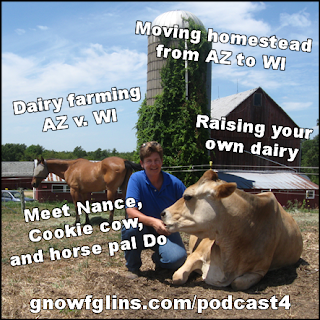 Tammy brought four gallons of fresh, raw, whole milk and we put it to good use. The first batch of cheese was Cottage. The milk got too warm too fast but the cheese turned out well anyway. It was drier than expected. Was that because of the temperature problem? We don’t know. 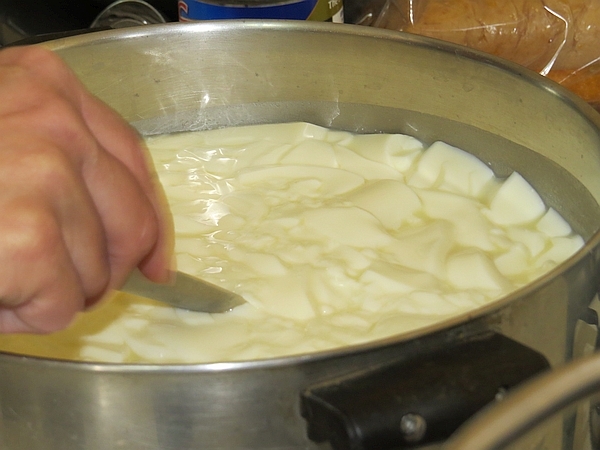 Tammy added heavy cream at the end to improve the texture and it was perfect. 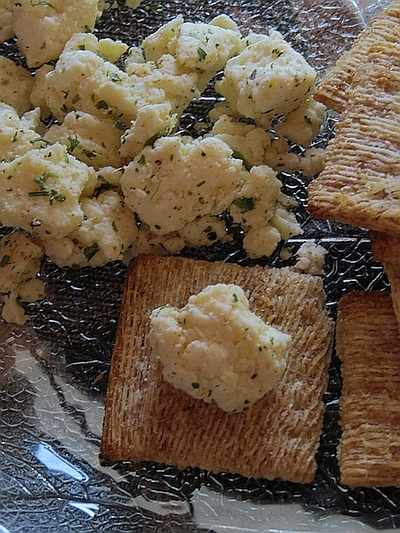 The texture is much more coarse and less wet than store bought cottage cheeses we’ve had. We liked it much better. Our second batch was Farmer’s Cheese. This is a lot like cottage cheese without culture. Use a gallon of milk warmed to room temperature. Stir in 1/2 cup of white vinegar. Let the curds and whey separate. Pour off the whey, saving it for another use. Add salt to taste. Salt is a preservative but we agreed that we’d eat our cheeses long before they had a chance to spoil. Wrap the curds in fine cheese cloth and hang to drip for an hour or so. There was a lot of whey waiting to be used so we made traditional Ricotta. 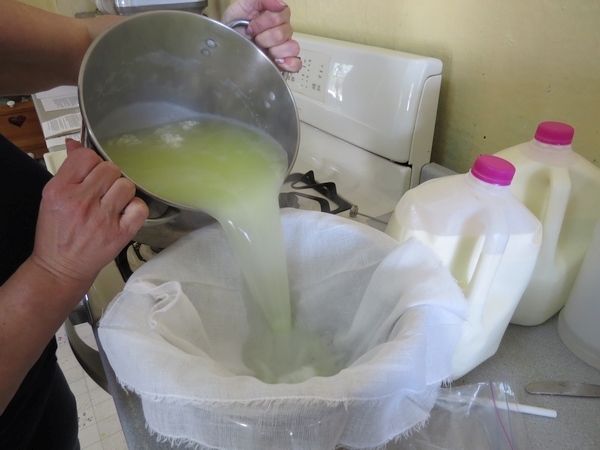 By heating the whey and adding vinegar we separated more solids from whey. The texture wasn’t as smooth as store bought Ricotta, and the flavor was great. 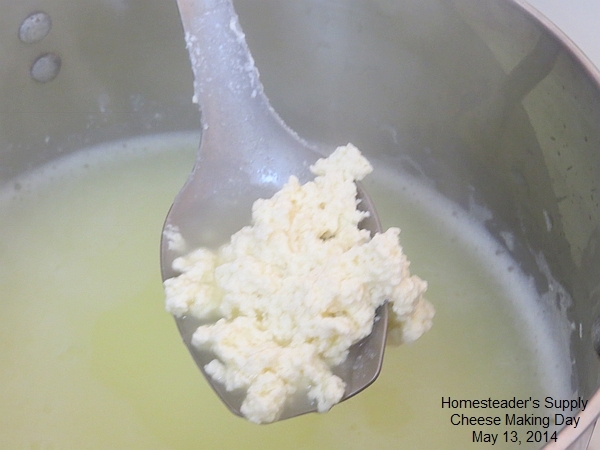 We used the whey from the Cottage cheese for the first batch of traditional Ricotta. The second batch was with whey from Farmer’s Cheese, and was disappointing. There was so little left in that whey that it made about two tablespoons worth of ricotta. 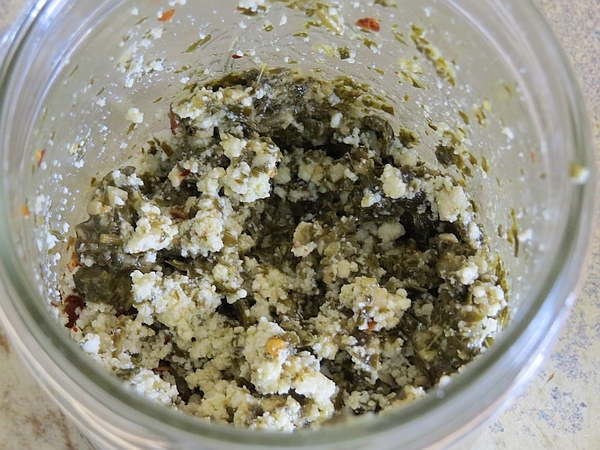 Taylor seasoned the traditional Ricotta with basil pesto. 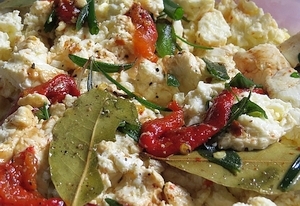 It is fantastic as a side to scrambled eggs! We wanted more Ricotta so our last batch was Whole Milk Ricotta, a lot like Farmer’s Cheese. “Rustic” describes it well. It wasn’t as smooth and creamy as we expected. Taylor roasted a red bell pepper to use in a marinade. She mixed extra virgin olive oil, fresh basil, chives and sage, bay leaves, salt and a little fresh ground black pepper and let it set while the cheese dripped. Spectacular! We will definitely make this often, especially when we’re entertaining. We’ll be making cheese again soon. Up next – Farmhouse Cheddar! We’ve been using the whey in sour dough bread, rice and quinoa. It’s a nice bonus from cheese making. 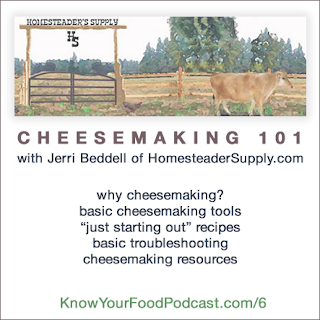 This entry was posted in Cheese Making, Dairy Uses, Preserving, Raw Milk, Recipes and tagged cheese making on May 19, 2014 by Homesteader's Supply.